What is Spelt, and is it Good For You? Spelt is an ancient whole grain grown in many parts of the world. It declined in popularity during the 19th century, but is now making a comeback as a health food. Ancient grains like spelt are claimed to be more nutritious and healthier than modern grains. This article takes a detailed look at spelt and its health effects, both good and bad. Spelt is a type of grain that is strongly related to wheat. Its scientific name is Triticum spelta (1). In fact, spelt is considered a distinct type of wheat. Other types of wheat include einkorn wheat, khorasan wheat and modern semi-dwarf wheat. 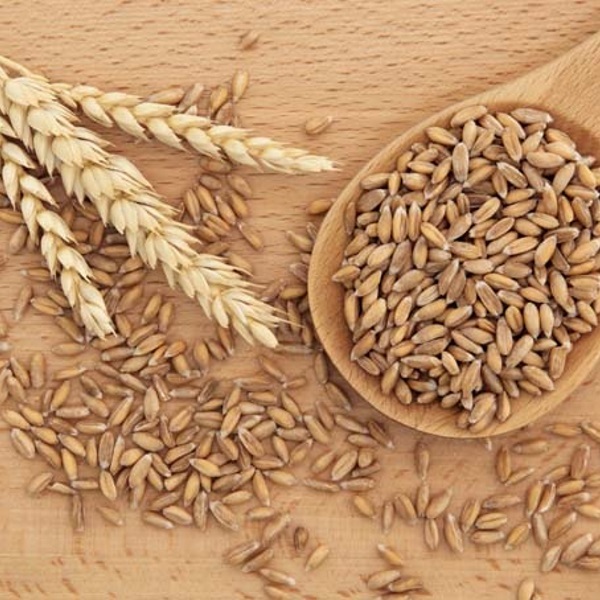 Since they are close relatives, spelt and wheat have similar nutritional profiles and both contain gluten. Spelt should therefore be avoided on a gluten-free diet (2, 3). Bottom Line: Spelt is a type of wheat. Its nutrition content is very similar to wheat, and it is high in gluten. Manganese: 106% of the RDI. Phosphorous: 29% of the RDI. Vitamin B3 (Niacin): 25% of the RDI. Zinc: 22% of the RDI. Iron: 18% of the RDI. Additionally, spelt contains small amounts of calcium, selenium and vitamins B1, B6 and E. Like most whole grains, it is also high in carbs and an excellent source of dietary fiber. Nutritionally, it is very similar to wheat. However, comparisons have shown it to be slightly higher in zinc and protein. About 80% of the protein in spelt is gluten (1). Bottom Line: Spelt is high in carbs. It’s also an excellent source of dietary fiber, and contains some vitamins and minerals. Spelt is mainly comprised of carbs, most of which is starch, or long chains of glucose molecules (1). Whole spelt is also a good source of fiber. Fiber helps slow down digestion and absorption, reducing blood sugar spikes. High fiber intake has also been linked with a reduced risk of obesity, heart disease and type 2 diabetes (5, 6, 7). The fiber content of whole spelt is actually slightly lower than that of whole wheat, but they have similar amounts of soluble fiber (1, 8). Both whole-grain spelt and whole-grain wheat have a moderate effect on blood sugar, when ranked on the glycemic index (GI). On the other hand, refined spelt and wheat are both high-GI foods, as they cause a large and rapid spike in blood sugar levels (9, 10). Bottom Line: Whole spelt is high in carbs and fiber, and its effects on blood sugar are similar to wheat. However, refined spelt is low in fiber and can cause a big spike in blood sugar. Does Spelt Have Any Health Benefits? Whole grains, like whole spelt, are considered to be very healthy for most people. They are an important source of carbs, protein, fiber and essential nutrients like iron and zinc. People who eat the most whole grains have a lower risk of strokes, heart attacks, type 2 diabetes and some cancers (11, 12, 13, 14, 15, 16, 17, 18, 19). They are also more likely to maintain a healthier weight and have better digestive health (20, 21, 22). One study of 247,487 people found that those who ate the most whole grains were 14% less likely to have a stroke (11). Similarly, a recent analysis of over 14,000 people found the highest intakes of whole grains were associated with a 21% reduced risk of heart disease (12). Another review showed that those who ate the most whole grains had a 32% lower risk of developing type 2 diabetes. Refined grains did not show the same benefit (23). Although most of these studies are observational, the benefits of whole grains are beginning to be backed by human clinical trials as well (24, 25, 26, 27, 28, 29, 30). Bottom Line: Regularly consuming spelt or other whole grains could help protect against obesity, heart disease and type 2 diabetes. Despite the health benefits of whole grains, spelt may be harmful for some people. This includes those who are gluten intolerant or have irritable bowel syndrome. Gluten is the name for the mixture of gliadin and glutenin proteins found in grains like wheat, spelt, barley and rye. It can cause problems for people who are intolerant to gluten, such as people with celiac disease or non-celiac gluten sensitivity (31, 32, 33). For people with celiac disease, gluten will trigger an autoimmune reaction, which causes inflammation in the small intestine. This serious condition can only be treated with a lifelong gluten-free diet. Left untreated, celiac disease can cause deficiencies in iron, calcium, vitamin B12 and folate. It’s also been linked to an increased risk of developing bowel cancer, schizophrenia and epilepsy (34, 35, 36, 37). People with non-celiac gluten sensitivity may experience a negative effect when they eat gluten, usually in the form of digestive problems (38). It’s estimated that about 1 in 141 people in the US has celiac disease. A similar number of people are thought to have non-celiac gluten sensitivity (39, 40). People who have a wheat allergy may also be sensitive to spelt. Wheat allergy occurs when there is an immune response to the proteins in wheat (41, 42). Bottom Line: Spelt contains gluten. It is unsuitable for people with celiac disease, gluten sensitivity or a wheat allergy. Irritable bowel syndrome (IBS) is a gut disorder that can cause stomach pain, gas, bloating, diarrhea and constipation. About 14% of the US population has IBS (43). One known trigger of IBS is a group of short-chain carbs known as FODMAPs. Like wheat, spelt contains a significant amount of FODMAPs, which can trigger IBS symptoms in susceptible people (44, 45, 46, 47). The way foods are processed can also affect the amount of FODMAPs present. For example, traditional bread-making with fermentation can reduce FODMAPs. In modern bread-making, the FODMAP content remains the same (48). However, spelt flour is actually lower in FODMAPS than modern wheat flour (49). Some spelt products, including sourdough bread, have been labeled as “safe” by the Monash Low-FODMAP system. Read the label: Make sure the label says 100% spelt flour or spelt bread. Choose sourdough: Pick a sourdough bread to eat. Limit serving size: Do not eat more than 3 slices (26 grams each) per sitting. Bottom Line: Spelt contains FODMAPs, which can cause problems for people with IBS. Fermenting spelt to make sourdough bread can lower the amount of FODMAPs present. Like most plant foods, grains also contain some antinutrients. Antinutrients are substances that can interfere with the digestion and absorption of other nutrients (50). Phytic acid reduces the absorption of minerals such as iron and zinc (51). For most people on a well-balanced diet, this is not a problem. Yet it can be a concern for vegetarians and vegans, who get most of their minerals from plant foods. Like wheat, spelt does contain a significant amount of phytic acid. However, the way it is processed can affect the phytic acid content. Traditional methods like soaking, sprouting and fermenting can significantly reduce the phytic acid content of grains (52). Bottom Line: Spelt contains phytic acid, which can reduce the absorption of minerals. Soaking, sprouting and fermenting grains can reduce the phytic acid content. Lectins are a group of proteins found in many foods, including grains (53). Some people think lectins should be avoided, since a high intake has been linked with damage to the gut lining, digestive discomfort and autoimmune diseases (54). However, most lectins are destroyed during cooking and processing (55, 56). As with phytic acid, the traditional processing of grains through soaking, sprouting and fermentation significantly reduces the lectin content (57). The amount of lectins you’re exposed to from spelt is unlikely to cause harm. Bottom Line: All grains contain high amounts of lectins. However, most of these lectins are eliminated during cooking or processing. Is Spelt More Nutritious Than Wheat? Whole spelt and whole wheat have very similar nutrition profiles. Both whole grains provide carbs, protein, fiber, vitamins, minerals and other important nutrients (1). However, some studies have shown subtle differences between them. For example, the mineral content of spelt is higher than wheat. Spelt contains more manganese, zinc and copper (58, 59). One study also found that spelt contained less of the antinutrient phytic acid (60). Bottom Line: Spelt and wheat have very similar nutrition profiles. However, spelt may contain slightly more minerals and less phytic acid. You can add spelt to your diet using whole grains or spelt flour. If you’re using whole grains, be sure to wash them thoroughly and soak them overnight. You can then use them as a substitute for other carbs, like rice or potatoes, in many dishes. A few popular ideas are spelt risotto, or spelt broths and stews. It’s also easy to substitute spelt flour for wheat flour in most recipes, as they are very similar. If you are baking, you can substitute about half your usual flour for spelt flour and get a similar result. You can buy spelt flour in stores or online. Bottom Line: Spelt can be used as a substitute for other carbs. You can try cooking the whole grains or using spelt flour instead of wheat flour. Spelt is an ancient whole grain that can be a nutritious addition to the diet. However, it contains gluten, and is not a good option for people with gluten intolerance or a wheat allergy. It’s also not clear whether there is any benefit to consuming spelt over wheat. That being said, it is always a good idea to choose whole grains instead of their refined counterparts.